The report, titled “Global Educational Toys Market 2017-2021,” breaks down the toys market into three major categories: academic, cognitive thinking and motor skills. According to a Technavio news release, the academic educational toys market was “the largest product segment of [the] educational toys market in 2016.” Academic toys include “math and science kits, language learning toys and other toys,” providing basic and advanced knowledge for children in three age groups: 0-4 years, 4-8 years and above 8 years. The most popular academic toys among children and parents appear to be math and science kits, which are introduced in early head start programs, preschools and kindergartens, the research firm said. The Technavio report says parents are buying more STEM toys for their kids to experiment with and get hands-on learning experiences from, allowing them to play with microscopes and learn about DNA, energy, motion, crystals, earth science, circuits, conductors, interactive pets, robotics and other complex topics. Cognitive thinking toys include puzzles, activity sets and construction sets that can aid in the development of skills such as logical reasoning, critical thinking and problem solving. These toys can also help improve creative skills for young toddlers and preschoolers, Technavio said in its release. 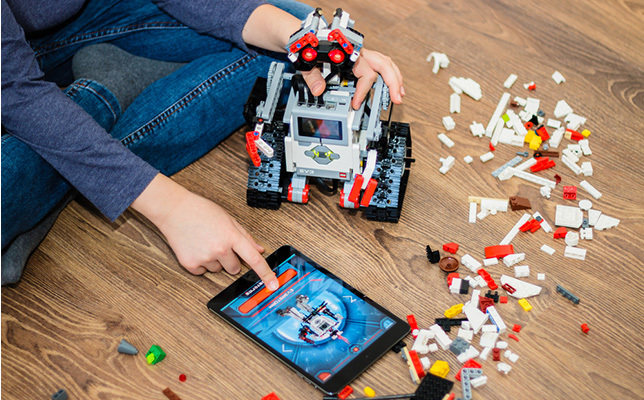 Examples of cognitive thinking educational toys geared toward middle school kids and adults include Rubik’s cube, for memory strengthening and association, and construction sets from LEGO that can introduce concepts of engineering and geometry to kids. According to Technavio, “the motor skills educational toys market is expected to witness the fastest growth during the forecast period.” These toys “allow physical development and strengthening of muscles in infants, toddlers and preschoolers,” the firm said in its release. Motor skills educational toys can include workbench playsets, shape stackers, bead mazes, building blocks and electronic sound toys. A single user copy of the educational toys report costs $2,500. To purchase the report, visit this site. To request a free sample, go to this Technavio site.